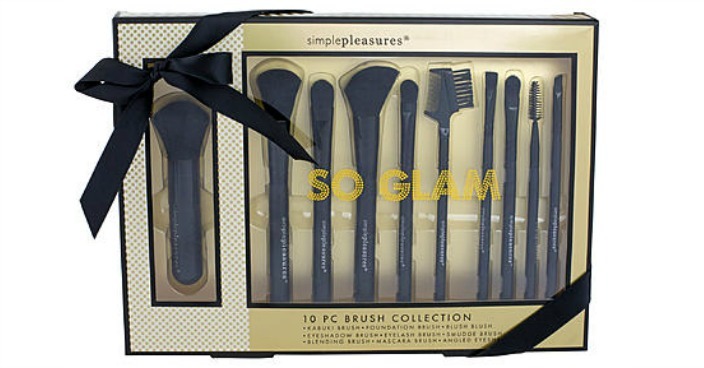 FREE Tri-Coastal 10 Multi-Piece Brush Set! You are here: Home / Great Deals / Christmas Deals / FREE Tri-Coastal 10 Multi-Piece Brush Set! Sears has this Tri-Coastal 10 Multi-Piece Brush Set on sale for $9.98 and you can get back $10.08 in Shop Your Way points, making it FREE! Bring depth and versatility to your makeup routine with a Simple Pleasures by Tri-Coastal 10-pc. brush set. Each durably made brush features a different function including blush, eyeshadow, smudge, mascara and several more. A wonderful gift idea to yourself or someone special, this set is sure to be used every day.